The Hamtramck Public Library is celebrating its 100th anniversary this year. The Hamtramck Library is turning 100 in November. But the celebration has already begun. The library, founded by the Tau Beta Association in 1918, initially held less than 150 books within its walls. It occupied a flat at the Hamtramck Community House on Hanley, and was moved around a bit as it grew over its first two decades. Privately sponsored and operated as such, it was nevertheless open to all city residents. By the late 1930s, the library was garnering public support from both the city’s Board of Education and City Hall itself. A library board, composed of local interested citizens, was formed, and recommended yet another move, this time to the heart of downtown at Jos. Campau and Caniff. The library then, after World War II, inherited a collection of almost 2,000 books, magazines and newspapers in Polish, and also opened a small children’s library back in the Tau Beta Community House where they had first begun. A branch library was opened in the east wing of City Hall’s first floor in the early 1950s. Finally, construction was completed on the current building on May 31, 1956. It is now the only branch in the city, and it underwent a substantial renovation in 2002. It does still feature some of the original shelving and furnishings. Tamara Sochacka is the current head librarian. She oversees a library brimming with diverse programs for learning and cultural broadening, including ESL (English as a Second Language) classes, a computer lab, math competitions, poetry programs, and much, much more. We asked her a few questions ahead of the big anniversary. Review: So the library is turning 100! That’s impressive. To what do you attribute that kind of longevity? Sochacka: First of all, to the sound minds of the founders, the women of Tau Beta Society, who recognized the pressing need for library services in Hamtramck and, in November 1918, established a small lending library for the benefit of the fast-growing population of that unique industrial Village (Hamtramck did not became a city until1922). But the longevity of our library services must also be attributed to the efforts of all the subsequent generations of the city’s residents and leaders – all those who understood the value of free and unrestricted access to information and knowledge – who helped the library grow and develop throughout the past ten decades. Review: Can you describe the things that the library plans on doing to celebrate this achievement? Sochacka: The library will be celebrating its 100 years of service with a variety of activities. Some programs will be designed mostly for children, with the goal of showing them how their library was conceived and developed, from a tiny 50 book collection kept on the second floor of the Tau Beta community house, through the steadily increasing number of volumes that had to be moved several times before they finally found the permanent home at 2360 Caniff. By means of the special library orientation sessions, quizzes, games and story times, the kids will learn about the library’s early history: The importance of the 1950s, when the whole city, under the leadership of Mayor Albert J. Zak, participated in building a brand new, beautiful facility that still serves us today; then, the difficult 1970s and 1980s when Hamtramck had experienced an economic downturn, followed by the significant decline in the city’s population which of course affected the library funding and its services. We also want our youngsters to learn about the library without computers, and some of the activities will emphasize the use of books, old card catalogs and the vertical files while researching the history of the library and our town. It seems like only yesterday, but it was in the mid-1990s when the first public computers appeared in our library and they changed everything. But to return to your question, we will also offer programs aimed at the adult population, both library users and potential users, who will have a chance to listen to the old library stories as told by senior Hamtramck residents and city officials. Although an emphasis will be on sharing the historical perspective, we also plan some activities aimed at anticipating the future needs of Hamtramck citizens. And the main celebration will be held on November 15 during the Hamtramck Public Library 100th Anniversary Banquet. Review: Have you heard from any other libraries in the metro area about your anniversary? Sochacka: We are a member of TLN (The Library Network), but we do not engage much with other libraries. Unfortunately, there is not enough time for such social engagements, but of course we do share our unique collections with our TLN co-members, as well as with other Michigan libraries. Review: Does the city have any plans to recognize this milestone? What might those be? Sochacka: The mayor and the city manager have joined the Centennial Committee, and plan to contribute to the celebrations. We are lucky to have good working relations with the city government, and they will be playing a major role in the upcoming programs. One aspect we can mention is the collection of materials for the time capsule which will be opened, perhaps, in another 100 years. Review: Tell us a bit about yourself, and your journey to become Library Director. Do you know how many have held the post before you? Sochacka: Way back in the previous millennium, the library was advertising for a children’s librarian. I decided to apply and was hired. Of course, I had to earn a degree in Library and Information Science and qualify for a State of Michigan Librarian’s License. Then, in 1998, the library director left Hamtramck for an academic library position, and with the support of the mayor and hundreds of patrons I decided to apply for the position of the Library Director. That position has been held by nine other librarians, since 1918, and I became the tenth Director of the Hamtramck Public Library. Some of my predecessors served as little as one year, but the best known, Beatrice Adamski, served 21 years. In February 2019, I will be celebrating 21 years of service as a Director of the Hamtramck Public Library. A complete listing of librarians that served in that position can be found in the publication we will distribute in November during the Annual Library Dinner Program. 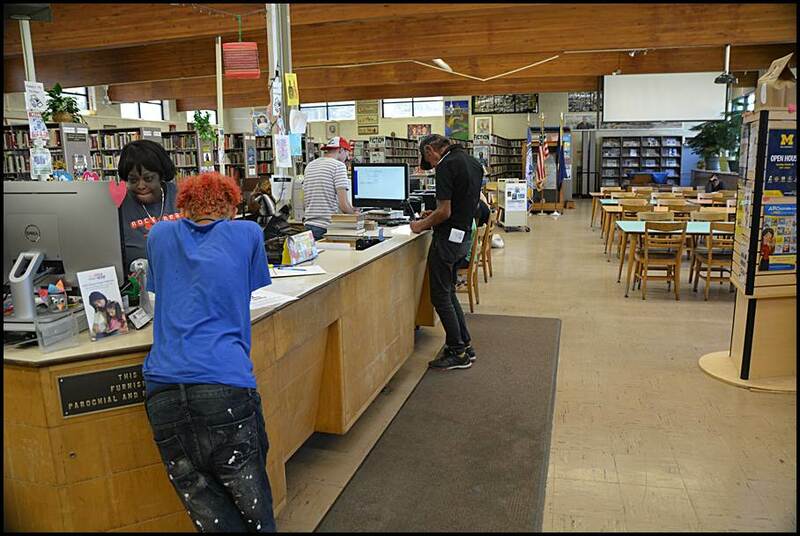 Review: How do you see the Hamtramck Public Library 10 years from now? Sochacka: Ten years from now, the main function of the library — to serve its community by making free access to knowledge and information available to all — will be similar to what it has been for the last several decades, though the use of the library has already undergone tremendous changes. Printed materials were the only media utilized in our formative years. In the last 20 years, since when I took over library development, computers, the internet, and electronic and digital formats have become the main thrust in librarianship, changing the ways we work and deliver services to our patrons. These new and emerging technologies are reshaping our libraries as we speak, and even though the Hamtramck Library is hardly in the forefront of these new technological trends, they strongly affect the way we function. While today we provide fast internet and free public access to Wi-Fi, tomorrow we will certainly offer more high-tech and digital contents. But I believe that in 10 years we will still have traditional books, multi-lingual collections, story times for children, annual summer reading programs, and free-of-charge access to a variety of valuable cultural and educational programs. I also believe that the current trends of library-supported lifelong learning and of enabling discovery in our patrons will continue, making our library even more of an opportunity institution — which it has always been. 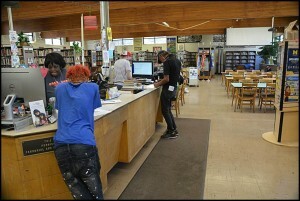 Review: How do you see the Hamtramck Public Library another 100 years from now? Sochacka: It is difficult to imagine what kind of technology — if any — will exist 100 years from now. I think it may well surpass our imaginations. If current civilization will not destroy itself, the libraries will probably be more important as social infrastructures, “the facilities and conditions that allow connections between people” (Eric Klinenberg), than just repositories of knowledge. Actually, one of the activities we plan for this November will be for our patrons to imagine Hamtramck Library in 2118. I will be happy to share the results of this endeavor with you. Review: Feel free to add anything else that you think is pertinent that I might not have thought to ask! 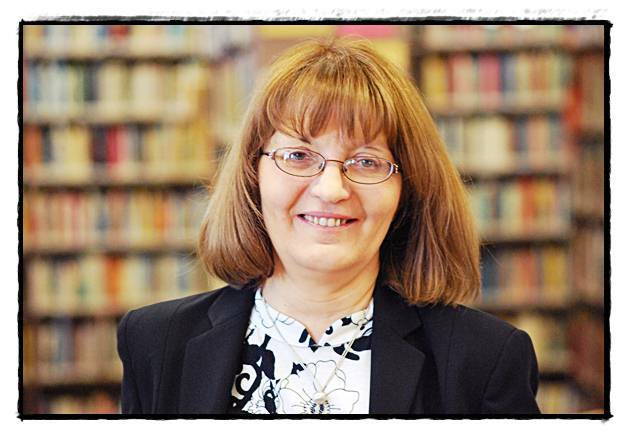 Sochacka: For the City of Hamtramck, with its ever changing populations over the last 100 years, a library provides both stability and historical perspective. People who grew up in Hamtramck years ago come back here to remember their formative years, find information from years past, and make new friends. Newcomers come to the library to learn English (via ESL classes) and become familiar with the computers. Children come after school to play games, work on their homework and research assignments. All in all, the more the library changes, the more its purpose remains the same. Review: Thank you so much for your time!